You always feel welcome at Hotel Dominique. It almost comes as a pleasant surprise, as one would realize—it has been there all along, and yet seemingly tucked away and barely noticed by many, considering that it's been there since February of 2003. It has a down-to-earth friendly facade that greets one like home, but then its strength as a hospitality establishment is gradually revealed as one stays longer. The fresh interiors will eventually catch the eye, as they emerge from the visibly heavier vintage frames. And with this shifting of readjustment of aesthetic views, it seems so too do points of view on life. Stress and worries seem to suddenly fade shortly upon entrance, as if it were a gateway to a special getaway. Rated 3-star hotel by the Department of Tourism, Hotel Dominique comes out as a gem for immersion tourists and welcome luxury to a whole new view of Tagaytay. Hotel Dominique has a rich variety of suites, casitas, cabanas, superior and deluxe rooms, and super deluxe rooms. And its modern, readily available facilities constantly reflect the silent, yet astute dedication of the hotel management and staff—to serve in unison and efficiently. Welcome your guests in a modern and beautifully-designed ballroom while serving them with only the best cuisine – may it be any celebration, a debut or a wedding, our function room is the ideal venue. 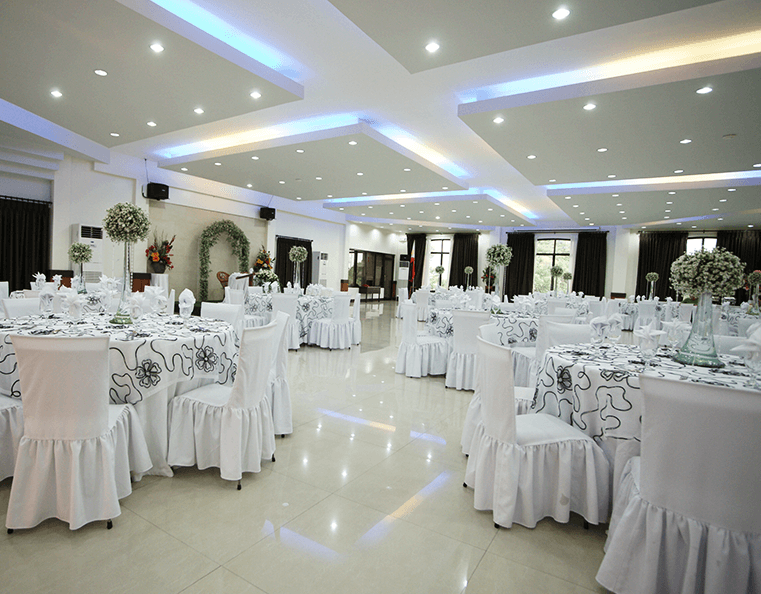 We can also accommodate functions such as seminars or talks. Having second thoughts on roaming around Tagaytay? Staycation at its finest is here in Hotel Dominique, with different activities to choose from such as a good old game of billiards or lounging around the swimming pool. 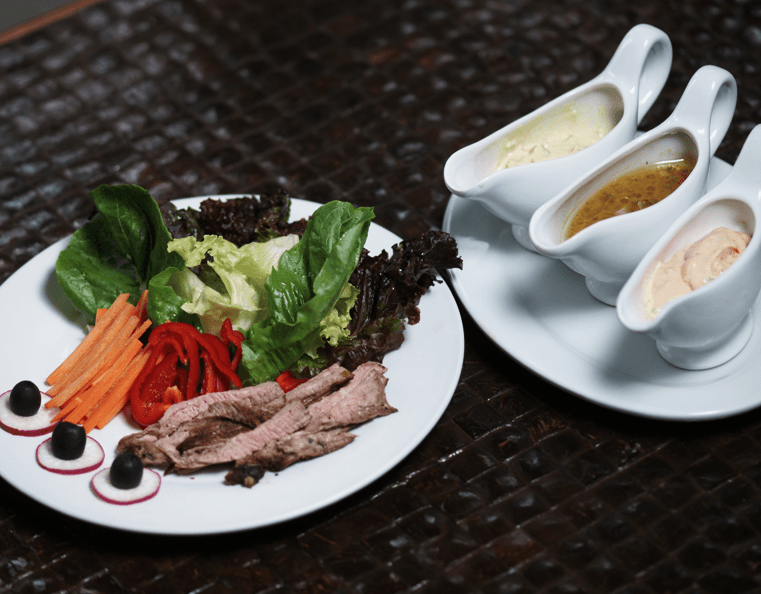 Cooked with only the freshest of ingredients, thanks to the abundant livestock and vegetation of Tagaytay, our restaurant will leave you wanting for more. Enjoy special deals and promos. 10% discount on rooms and Pahimis restaurant. Present the Loyalty card to earn and redeem points and avail outright discount. Not to be combined with other promos or discounts. 30% discount on all rooms during Sundays - Thursdays for the whole month of August. Must be booked at least 3 days before the intended day of arrival. Not valid on holidays and cannot be combined with other promos including senior citizen discount. Are you excited? So are we! Live viewing plus lunch at P500/head only. Call us now! Book for 4 days 3 nights stay and get 40% off on the 3rd night. Not to be combined with other promos including senior citizen discount. We are now part of a network of over 500 restaurants in the Philippines with over 2 million users across Asia! Download the app and look for Hotel Dominique.